. : Rug Cleaning in Toronto, GTA. Persian Rug Services is a Rug Cleaning company in Toronto since 1983. 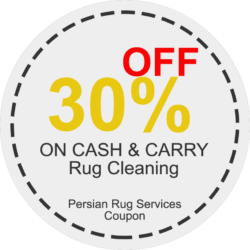 30% off on cash & carry rug cleaning service. Cleaning Area Rug & Carpet (Wool & Silk). Rug Cleaning is our profession. We provide high quality Area Rug and Carpet Cleaning services in Toronto such as Wool & Silk Rug Cleaning, Hand Washing, Rug Repairs, Rug Restoration, Rug Reweaving, Rug Stain Removal, Moth Proofing, Deodorizing and other rug services to the Greater Toronto Area, Newmarket, Aurora, Richmond Hill, Thornhill, North York, Oakville, Etobicoke, Mississauga, Brampton, Burlington, Hamilton, Pickering, Stouffville, Markham, Milton, Whitby and other surrounding cities. Free pickup and delivery for rug cleaning & repair in Greater Toronto Area. We offer fine area rug cleaning, stain removal, and repairs of area rugs. 30% OFF on Rug Cleaning when you bring your rugs to us with coupon. Deodorize and disinfectant treatment and moth guard protection are available on hand made rugs. We specialize in Persian and Oriental Rug Cleaning and Carpet Cleaning. We provide the greater Toronto area with Quality Area Rug Cleaning. We clean & repair all type of area rugs, wool & silk ranging from Persian & oriental to Modern European new & old antique rugs. Persian Rug Services is a reliable Rug Cleaning Company in Toronto – GTA. The quality of our area rug cleaning and repair is one of the best among rug cleaning companies in Ontario. With backing up many years experience in Persian and Oriental rug repair and rug restoration in Toronto, we dare to say that we repair any kind of damage. We will present excellent repair to your satisfaction. We say, with confidence, that you will like our repair job. We offer various services of hand knotted Repairs on Persian and Oriental Rugs in Toronto, Ontario. We do Hand Knotted Refringing, hand knotted serging and binding. We hand wash antiques and old rugs. We specialize in handling fine Silk and Wool rug cleaning. We understand that area rugs can be a major investment. We specialize in cleaning and protecting delicate wool or silk, Persian, Indian, Chinese and other oriental carpets and rugs based on their specific weavers, fibers, dyes. With backing of many years experience in Persian and Oriental rug repair and rug restoration in Toronto, we dare to say that we repair any kind of damage. We will present excellent repair to your satisfaction. We say, with confidence, that you will like our repair job. We offer various services of hand knotted Repairs on Persian and Oriental Area Rugs in Toronto, Ontario. We also buy rugs. 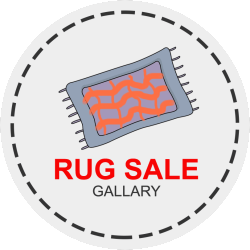 If you have an old rug and are interested in Selling your Rug, we will be glad to take a look at it. If we like the rug and can use it we would buy it. We need photos to decide weather we want to buy the rug. It doesn’t matter if the rug is in good shape or has hole, water damage, etc. Let us see a photo of your rug. We Buy Rug in Greater Toronto Area at your place. 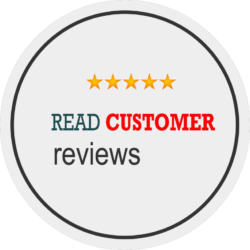 We are Ranked the Best Rug Cleaner in Greater Toronto Area on 5-Star Reviews. 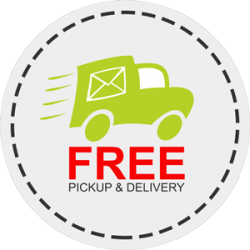 We offer Free Pick up & Delivery. We are the best Master Rug Cleaner company in GTA with specialties in Pet Stains and other stained Rugs. We are a third generation, family-owned rug business operating since 1983. We Hand Wash fine rugs. Our Shampoos are Certified Non-Toxic, Green, Eco-friendly and Safe for Pets and Kids. Get 30% discount on Rug Cleaning. Click to print the discount coupon and bring it with your rugs to our store.